Matrex Pad Anchor Band. 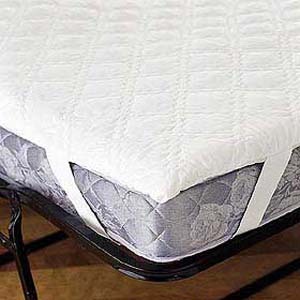 Mattress Pad Polyester Top & Bottom. Fully Elastic, Fill With 100% Polyester. Hypo-Allergenic. Sleep In Comfort. Awake Refreshed. Add More Lift To Your Mattress. Available in Twin, Full, Queen and King sizes.